Imagine something you love, maybe it’s ice cream, or beer (but not beer flavored ice cream, that’s just gross), or whatever, just imagine it. Now, imagine someone walking up to you and handing that thing you love to you for free, expecting nothing in return but perhaps the possibility that someday you’ll pay them a visit for some more of that thing you love and maybe spend some money on it if you enjoyed their free sample. Now, imagine that you’re on the internet, and that somehow people will manage to villainize and complain about free awesome things. Now, you don’t have to imagine anything anymore because this is real life and I’ve just described to you exactly what happened with Basic D&D 5e. That being said, I’m not going to edit the comments or anything but you should know in advance that if you came to simply skim right over most of it and leave a crappy comment along with your half-baked conspiracy theories, “money-grab” mumblings, or D&D consultant gossip that I’m kindly asking you to please turn back now. Head back on over to whatever hatescape you normally dwell in and tell all your friends that the grumpy gazebo doesn’t like you. Let’s get started! Where do I begin? Honestly, this is a review of a 110 page PDF so I’m going to skip right over talking to you about the nuances of dialogue in how character creation, ability scores, DM advice, and other bits are discussed and we’re going to get right down to the nitty gritty. Just know that all of that stuff is great, and handled with much class and flourish. The stuff you’ve been wanting summed up and the most interesting aspects of the new edition are what I’m going to be covering. I’ll also be trying to highlight some of the new features in a general manner, if you want RAW explanations, well you can download the exact same PDF I did so feel free to follow along! Let’s drink in some of the overall ethos of 5e before we jump into things like magic systems and mechanics, shall we? One thing to note that is a great touch is all of the pull quotes from several of the best D&D fiction authors out there, there are snippets from Salvatore, Greenwood, and Erin M. Evans that add luster to the class and race descriptions, it’s a really nice touch for giving you that extra push of creativity when you’re making a character. The assumed setting here is the Forgotten Realms of course, so everything fits perfectly along with their prose. After playing the finished product here, several sessions later I can say that D&D 5e feels light, and fast. You can ignore certain aspects of the game if you want and it won’t break things or slow you down. For example, I’m completely forgetting that skills exist, and that feats are even an option. Not because I don’t like them (well, this does apply to skills but I’ll blog about that later) but because I just want to streamline things for my players. 5e came through on the promise of being malleable, and I can almost guarantee that that feeling of pliability will further increase once the DMG is released. Creating a PC is very straightforward and much more streamlined than recent editions. I managed to create a character in an emergency ‘uh oh we have another player’ situation in a little under 30 minutes, which is pretty damn amazing especially considering it was the first time I was doing it. It’s nice to see that ability scores for PCs are still capped at 20 (monsters at 30) and attaining scores above that will require magic or other means, this means hopefully things stay grounded and at consistently challenging throughout a PCs adventuring career. Don’t worry, there are more things to be gained even if a stat is maxed out, that’s where feats come in, if you want them to of course. More on those in a bit. After rolling up stats (or distributing them, or point buy) you’ll be choosing a race (which will also grant an ability score bonus) and class, of which the process is pretty status quo, and afterward you’ll choose a background. Backgrounds describe where you came from before you were an adventurer, the rules provide many samples and advise you to tweak them as needed or to make up entirely new ones by working with your DM which is a really nice touch. Mechanically a background will provide you with a proficiency in two skills, and possibly other proficiencies for certain tools, etc. Lastly, your background also provides some random tables to roll on to help determine your character’s personality traits, ideals, bonds, and flaws. You don’t have to use these by any means but it’s nice that they are there to serve as a guiding point, or as inspiration to some who may consider themselves a little shy in the roleplaying department. Traits, Ideals, Bonds, and Flaws are actual spaces that take up the new character sheet. Aside from flavor, these also function in fate point/benny sort of way that ties back to the inspiration mechanic, which is pretty awesome. What is this inspiration mechanic I speak of? We’ll talk more about it in the Core Mechanics section below. 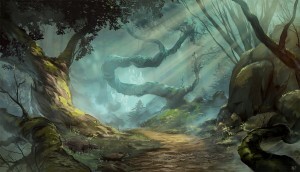 There are also new tiers of play which are divided up in a much more logical manner than in 4e, with levels 1-4 the characters are labeled as apprentice adventurers, 5-10 characters come into their own and may start facing dangers that threaten entire cities or kingdoms, level 11-16 that set them high above ordinary people and they are likely dealing with matters facing entire countries or continents. Lastly, levels 17-20 are basically as epic and heroic as it gets, PCs might punch a god right in the face, who knows!? I’m so glad we’re only seeing 1-20 here because 1-30 felt just too long and drawn out back with 4e. The XP required to advance through those first 4 levels is pretty minimal (2,700 xp), so characters should breeze right through them, not only does this gives new players small sets of immediate goals to look forward to, but it gives veterans a swift up-front taste of what they can expect from a class. It’s a really nice touch. 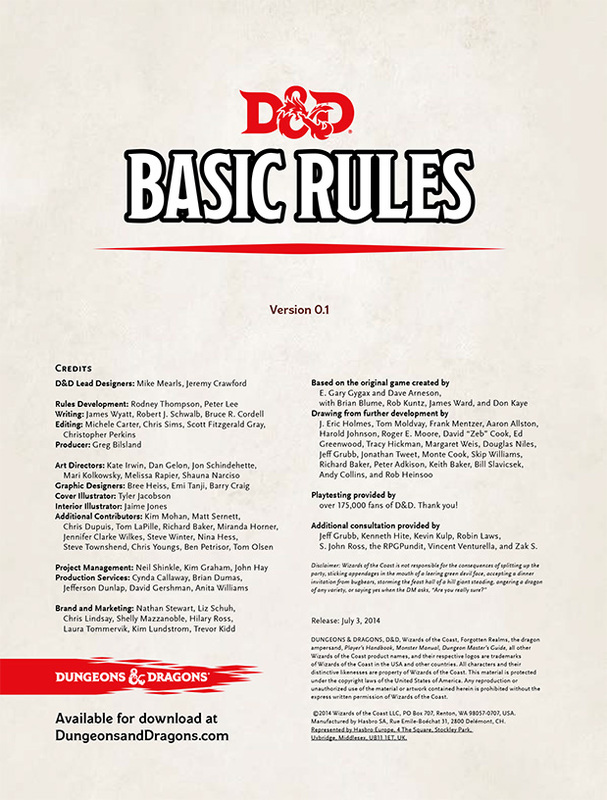 There is no mention of slowed/accelerated advancement rates here in the basic PDF, but I think we should be expecting those in the DMG later on down the line. I don’t want to spend a ton of time discussing classes because I’ve not had enough time yet to delve deep into their abilities over a long term. I’m sure I’ll be revisiting classes as time goes on, but for now you should know that the 4 base classes presented in the free rules are pretty versatile. Fighters are well rounded with having their different styles, you can essentially have them be a defender, archer, or a brawler, as well as your standard “sword and board” or “giant weapon” varieties. Clerics can really bash some skulls in and simultaneously be good healers, they can be laser clerics too. Rogues are very maneuverable and get to do a lot of fun stuff both in combat and out, it’s nice to see them get more options than just “hey hey you’re a skill monkey”. Lastly, wizards seem more flexible than ever with the new magic system in place and it’s also great to see them get to return to specializing in a school of magic. The basic PDF only extrapolates on the evocation school in this matter, but the PHB will allow for more than just fireball-centric wizards. Speaking of the new magic system, let’s talk about that real quick before we jump into the core mechanics. While the magic system could be grouped into the core mechanics section, I think it deserves its own little blurb. With a return to a Vancian magic system I know that some of you are already groaning about it, and while I did too at first. However, after just a little bit of time with it I’ve found that it’s a really great hybrid system and isn’t purely what Vancian is known to be. Every spell has a level from 0 to 9, and the level of the spell is generally an indicator of how powerful it is, cantrips are always level 0 and can be cast at-will. Spell level and character levels do not correspond, for example, typically to cast a 9th level spell a character needs to be level 17. Before casting a spell the caster must have it in mind (prepared), or be able to access it from a magical item, some classes have access to spells that are always fixed in their mind while other classes like Clerics and Wizards must prepare spells. Regardless, the number of spells a caster can have fixed in mind at any given time depends on their level. No matter how many spells a caster knows or prepares, they can only cast a limited number of them before needing to rest in order to cast more.Each class has a table that shows how many spell slots of each spell level they can use at each given level. Whenever a character casts a spell they use up a “slot” of that spell’s level or higher, basically like filling in the spell slot “box” with the spell that was cast. Spells can be cast at higher levels as well, not all of them, but some like Magic Missile and Cure Wounds have added effects or larger potential benefits if prepared at a higher level spell slot, they can grow in size this way but never shrink down (example: you can’t prepare a 7th level spell in a 3rd level spell slot, but you can prepare a 3rd level spell in a 7th level slot). Right off the bat it’s worth noting that cantrips aren’t all Prestidigitation and Light, you’ll actually be able to do some damage with them, which is really nice. While the bread and butter of your spells will exist within the spell slot system, I should add that it’s nice that unlike previous editions, you don’t have to prepare a spell twice in order to cast it twice. Jump to page 78 in the PDF if you need clarification or want more details. Also noteworthy is the new mechanic for some spells, called concentration. Listed under the duration portion of the spell, concentration requires the caster to maintain it while casting which means that the spell can be broken if they are interrupted by damage, incapacitated, or if they begin casting another spell that requires concentration. It makes total sense, and I love the mechanic, I don’t think power gamers are going to like it though. Ritual spells are also part of the game, if you see a spell with the “ritual” tag, it means that characters with the Ritual Caster feature will be able to use that spell without expending the spell slot, but they’ll also take 10 minutes longer to cast so you definitely won’t be using them in combat. Spell components are once again a thing, each spell specifying whether it requires any (V) Verbal, (S) Somatic, or (M) Material components. The number of spells requiring material components feels like it’s around 50%, and while this may put some people off who don’t want to track bat guano or small crystal beads, you can still hand wave if you like. That’s what we all did before anyway, right? 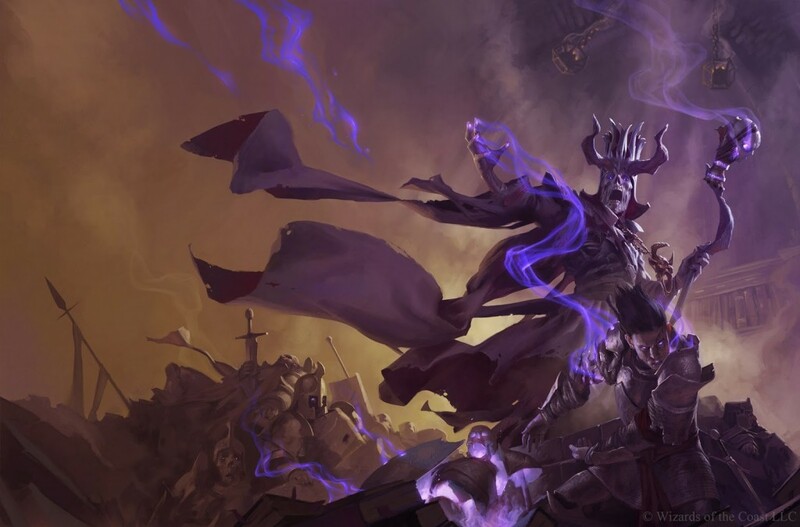 What it boils down to is that Clerics will get a set of cantrips, domain spells (which are always prepared and don’t count toward your spell slot allotment), and also their regular array of spells. Wizards get cantrips, their array of spells, and also the ability to regain an expended spell slot after a short rest. Regaining only one spell may not seem like much, but it does take some of the sting out of Vancian magic for wizards. Also, as mentioned earlier, wizards also gain the “Arcane tradition” trait which brings back school specialization, however you’ll only be able to find rules covering the evocation school within the basic PDF. A proficiency bonus is a static number that scales with character level, (seen on p. 10) and tons of things point back to it: weapon proficiencies, skills, spell save DCs, saving throws, and probably other stuff that I’m forgetting. This is an extremely streamlined approach to game design in my opinion and so far it feels very good, it’s straightforward, mathematically simple, and doesn’t require you to be in a constant state of searching for “which bonuses apply to this thing I’m about to do?”. Probably the most notorious of all of the new D&D mechanics, advantage and disadvantage take the place of the defacto +2/-2 DM rule of thumb from previous editions. The mechanic simply has you roll your d20 twice (or two at once for extra dice-rolling fun) and take the higher (advantage) or lower (disadvantage) result depending on which condition you have. Again, this is another aspect of 5e that feels very streamlined and quickly and easily referenced back to. Everything listed in that sub header there seems like a lot to bundle together, but it’s really not. You see Traits, Ideals, Bonds, and Flaws are all narrative bits of your character sheet that describe concisely what your PC is all about, it’s their embodiment in a very short form. Roleplaying to these aspects of your character can and should garner you Inspiration from your DM. What is inspiration you ask? Well it’s not a new idea by any means but it’s really nice to see it up front and in focus on a D&D character sheet. Inspiration is a binary factor that your character either has, or doesn’t have, they cannot “stack” inspiration, seems realistic enough to me. Inspiration is gained via clever thinking, good roleplaying, or simply doing something exciting and playing to your character’s traits/ideals/bonds/flaws and are entirely at DM discretion. You can expend your character’s inspiration for advantage on a single attack roll, saving throw, or ability checks. You can also expend it to give it to another character, I have some pretty fun ideas for houseruling other tidbits into inspiration, but you’ll see those in a separate blog post. If you want a cool example of inspiration in play, see the spoiler from my review of the 5e Starter Set. Easily assumed that nothing would change, I was surprised to see that I totally botched my first few critical hit rolls during gameplay. The new 5e rules for critical hits are to roll double damage dice on the attack, providing a bit more swing to crits, I welcome the chaos and randomness to my table! For example, critting with a dagger that would normally do say…1d4 +3 becomes 2d4 +3. Nothing huge here but worth mentioning that damage resistance and vulnerability are now simply expressed as being halved or doubled, respectively. This is applied after all other damage modifiers and do not stack. Gone are the days of “you got hit with a fireball”, and back are the days of “a fireball is racing toward you, roll to see if you can avoid it”. Saving throw mechanics are back, and characters can also be proficient with certain saving throws, giving them a better chance when dealing with certain types of saves. When it comes time to raise ability scores, each class has a different rate at which they advance, the Fighter being the fastest of the 4 (gaining at 4th, 6th, 8th, 12th, 14th, 16th, and 19th levels). When that time comes, a character can raise one score by two, or two scores by one. Of course, none of your scores can go past 20 in this manner so, given the number of opportunities you have to do this over the life of a character means you’ll likely choose some feats along the way (or just become a jack of all trades stat-wise). 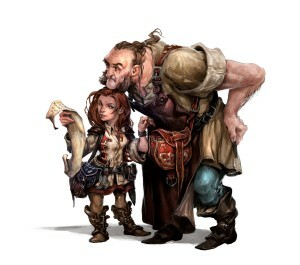 A feat in 5e is an alternate option that makes your character unique instead of taking a raw stat increase, it’s a nice option to have. Unlike feats in previous editions, they can be taken only once (unless otherwise specified) and tie back to your character’s class specifically. To see what those are though, you’ ll need the Player’s Handbook so we’ll just have to explore those more during the Player’s Handbook review, won’t we? Regardless, it’s nice to see a customized pool of feats instead of just a general pool everyone dips into, it really will make that “loss” of an ability score increase seem worthwhile to most as long as the benefit is truly unique and cool. 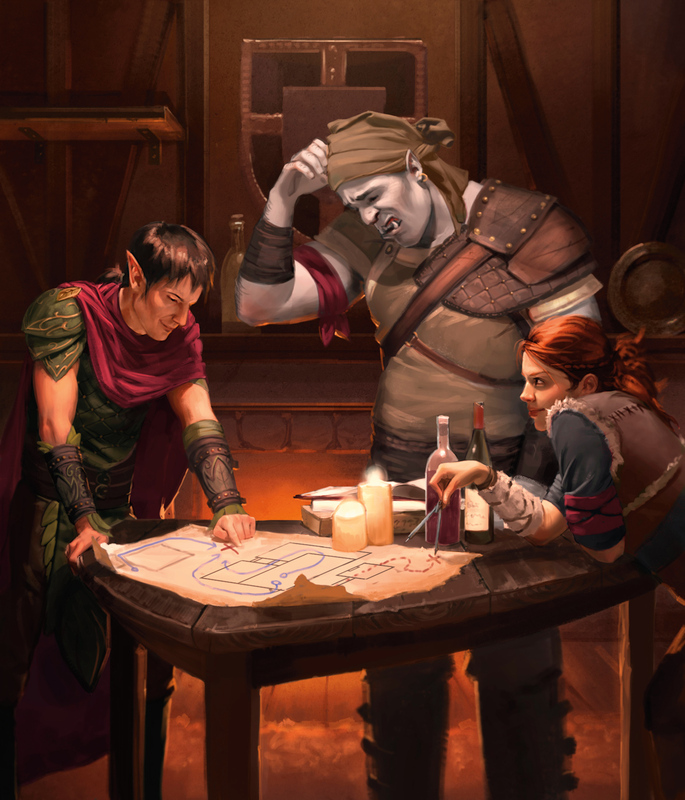 I was please while playtesting to see skills downplayed as much as they were at first, unfortunately Skills are my least favorite part of 5e so far. I’ll elaborate on why in a separate blog post in the coming week(s) but for now let’s explore the positives of skills. Skills exist as a specializations under each ability scores, however there are none tied to constitution this time around. Skills reflect more specific aspects of a broader ideal, for example a strength check is one thing, and an Athletics check is another. They also tie back to your proficiency bonus, which makes them nice mathematically, it’s not a static bonus or a random one, but instead one that scales with level. Skills are acquired via your background, and class upon character creation. Yet another perk to using the proficiency bonus system to simplify things across the board. In addition we also see Passive Perception popping up again, used as a guide stone for a character’s general awareness of their surroundings, however this time around the rules specifically state that for a PC to being finding hidden items/objects with passive perception that they must explicitly state where and how they are looking for hidden things. Hopefully this should alleviate some of the “I walked into this room and now I just somehow notice everything suspicious/hidden/etc. I wasn’t really sure where to tuck this commentary in but it’s worth mentioning, there are now guidelines for things such as “lifestyle expenses” while your character is taking part in non-adventuring downtime. These guidelines provide set amounts of gold relating to how lavishly you’d like to live on a weekly or monthly basis to be deducted from your currency totals. There are also rules for crafting, practicing a profession, recuperating, researching, and training. Each of which has its own mechanical benefits and allows you to further flesh out your character, you can even train to learn a new language or set of tools (p. 68). It feels so nice to say that there isn’t that much to say about the action economy in 5e. It’s dead simple, you get a move and an action and that’s it. Well, basically anyway. Some instances may give characters additional actions via class features (like the Rogue), spells, etc, but these are used very sparingly. You also have 1 other very transparent action (think of them like a grayed out option on a computer screen, only to light up when certain circumstances arise) called a reactions which are mainly attacks of opportunity or other very situational things. These are not like reactions in 4e, you wont be getting interrupt-spammed by your players while you’re trying to DM. Lastly, these bonus actions and reactions can only be used once per turn no matter what. Hooray! I should also mention two other fun tidbits about the action economy before we move on. First and foremost, you can split up your movement throughout your turn (move, attack, move again) and also standing up from prone now simply uses half of your available movement (measured in feet), instead of an entire action. Hooray for rules that make sense! Lastly, let’s talk about combat. That also feels good to say, lastly. because there’s so much more than combat going on in these rules I don’t have to spend hundreds of words discussing it. Combat is what we’re all used to, surprise rounds, initiative, hitting an armor class, making a saving throw. It’s all very simple, and very D&D, there are not a lot of new tricks here, but we’ll discuss the highlights. First and foremost, there is a sidebar in the rule book, just a sidebar, dedicated to playing on a grid entitled Variant: Playing on a Grid. This feels so good to read, it’s nice to know that the default assumption is that you’re going to use theater of the mind (ugh, hate that phrase) for most of the time you spend gaming, and these rules are here should you need them. 5e is so fluid that you’ll likely find yourself skipping using a grid more and more often. It feels great, but let’s move on. Aside from your normal bevy of options like attacking, casting a spell, hiding, aiding another, etc. 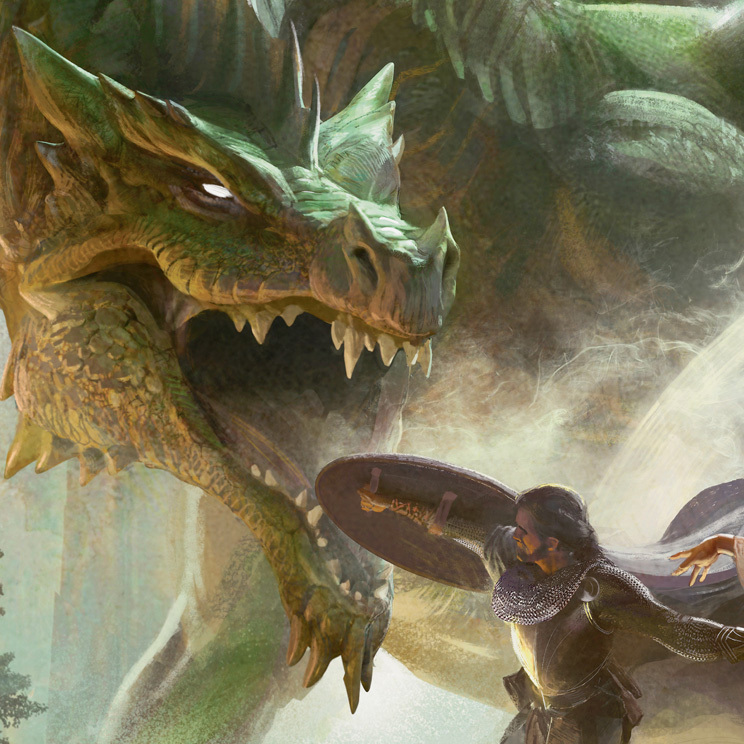 5e brings a few changes to the table. Disengage is when you take an action to not provoke opportunity attacks for the rest of the turn, and Dodge allows you to take your action to focus entirely on avoiding attacks and gives your attackers disadvantage when rolling to hit you and also allowing to make any dexterity saving throws with advantage until your next turn. There is also no longer any mention of charge attacks or gaining a charge bonus, which may have simply been replaced with Dash, which is essentially a double move. You can sill shove creatures as well. Hit dice have been reintroduced into the game, you start the game with one of a varying size depending on your class and continue gaining additional dice each time you level. Hit dice can be “spent” to regain hit points. During a short rest (1 hour) you can spend as many hit dice as you like to regain their total die roll + CON modifier of HP. After a long rest (at least 6 hours) a PC will regain all lost HP, and also regain a number of spent hit dice up to half of their total number of hit dice. I’m a big fan of this system aside from regaining all lost HP after a long rest, and will likely house rule that PCs only regain hit dice upon rest, and regaining all HP will require using the recuperation rules. 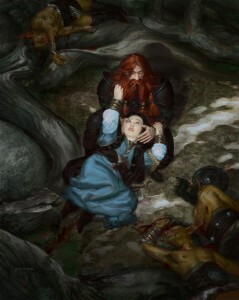 Perhaps one of my only bits of 5e that I’m strongly considering changing for the sake of lethality (we’ll have to see after a few more months of play) are the rules for death and dying. Per the rules, a character dies when they have failed 3 death saving throws, which start happening once you are at or below 0hp, and rolling 3 failed death saves still kills them. In fact, rolling a 1 on a death save counts as 2 failures! Rolling a crit grants 1hp, pulling you out of the dying state, as it should! I know this doesn’t seem all that forgiving, but sometimes…you just want more death y’know? Death saves are made at DC 10 and as far as I know, a character cannot be proficient in death saving throws. Also, a character is instantly killed if they reach the negative value of their max HP. If you have 13 hp you would die at -13 hp, which really can put a dead stop to lower level characters. Overall it’s a lot more lethal than previous editions, which is a good thing in my book! I’d still kind of like to see some kind of penalty for character death, such as permanently losing an ability score point or something after being returned from the dead, but I’m sure we’ll see more options like that once the DMG drops. I know that Mike Mearls has spoken at length regarding adjusting the lethality of 5e and it seems pretty manageable without hacking the game apart at all. Lastly, exhaustion is kind of a status track that a PC can travel upward and downward on that results from things such as being exposed to extreme conditions, temperatures, and that sort of thing. Exhaustion incurs long term penalties, such as reduced speed, HP, disadvantage, and even death. Speaking of death, let’s slay this beast of an article and wrap it up, shall we? 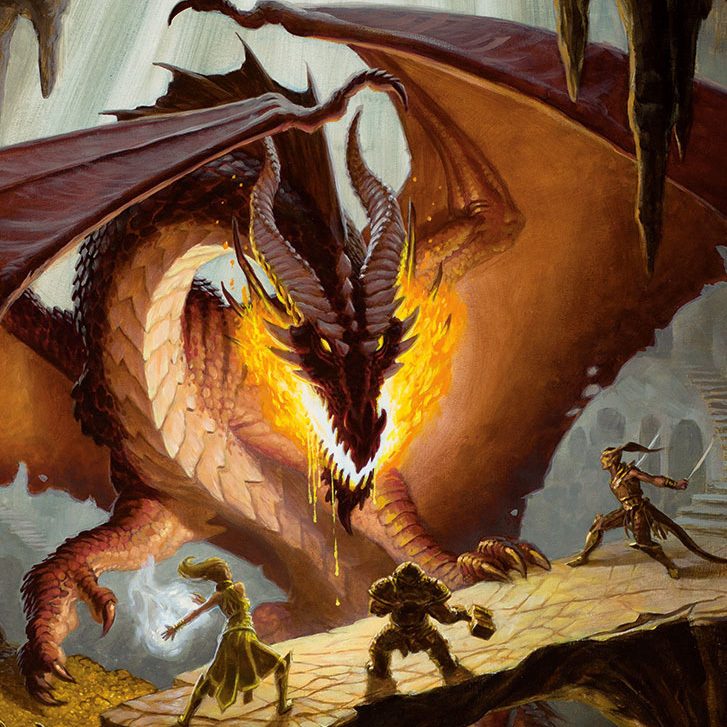 As far as the basic PDF goes, 5th edition Dungeons and Dragons is shaping up to be one of the most streamlined, realized iterations of the game we have so far. I has been a pleasure to see the design process come and go over the past few years and even nicer to see it finally settle into its own identity. The game flows like a well-worn stream, and it doesn’t whack you over the head with tons and tons of fiddly bits, or front loading character creation. This speaks loads considering where the game has come from and where it is (hopefully) headed. Considering this portion of the game is 100% free, I think everyone owes it to themselves to at least try a game or two, even if you’re skeptical. If you’re not and you’re already on board with D&D, I hope this review gave you a good overview of what has changed and what’s in store for you at the table. Thanks for reading, and until next time: game excellently with one another! Smoothe, well-balanced review. A treat to read. I found the ability to split up actions across your move to be a good addition drawn from more modern games. I.e., move part of your movement, attack (or throw something or whatever) then complete your movement – which can include diving behind a rock! Thanks! I’m going to be sure to actually go and add this in to the action economy section. So many little things to remember! Definitely an awesome new touch, I’ve gone and pointed that out in the review appropriately. Thanks for stopping by, I’m glad you enjoyed it! One thing I have to say about the lethality about D&D Next – it’s deadly. The first three levels are really dangerous. I picked up the Starter Set and we’ve been having fun with it ever since. We started without a Cleric just to try it out (3 players and a DM) and used the ranged fighter pregen to stay out of HtH. Every game the Rogue was unconscious and it came down to the Fighter Archer/Folk Hero to pull through, which he did every time (Second Wind and taking cover). One other thing I have to mention – Classes and Levels matter more than Characteristics because of the 20 cap. Characteristics are good but really it’s the proficiency bonus and class features that make the game. The game doesn’t focus on Wizards cranking their DC up to impossible saves with stacking bonuses or Barbarians raging to a 30 Strength by 6th Level and hitting every Monster on a ‘2’. Now it’s the class features that do damage, improve saves, and give you actions. This came as a bit of a surprise when we started rolling damage for Critical Hits. Adding the Stat Mod only once made them less important but features like Improved Critical and Sneak Attack much more important. In other words, Level 3 Fighters are dangerous. Not because they’re strong but because they’re Level 3 Fighters. Definitely some good thoughts here, thanks for commenting. Also, the lethality I’m noticing is at a pretty good level at this point. I don’t think I’m going to make any changes just yet. Quick note/correction; you don’t die when you get to negative HP equal to your Max HP, in fact you don’t track negative XP at all. When you hit 0 HP you stay at 0 HP, unless: if you suffer damage in a single attack that would take you to negative HP equal to your Max HP you die instantly. Otherwise death occurs from failing three death saves. The insta-kill rule is mostly a threat to low-level characters. We’ve already had two PC deaths; one from failed saves and another from the 8 HP wizard suffering a single 19 HP attack! Gonna make this edit, thanks for clarifying! No problem. Love the blog by the way! Of course, attacking a dying creature causes two failures, so if the enemy really wants somebody dead, hitting them once more after they are dying would do the trick wonderfully. I’d also like to point out there’s no nonlethal damage. Instead, during an attack that could kill, you can instead knock the creature unconscious instead. A character can spend HD at the end of a short rest (not during). A long rest at least 8 hours long. Also, a 20 on death save does not translate to 2x success, but rather 1 hp.